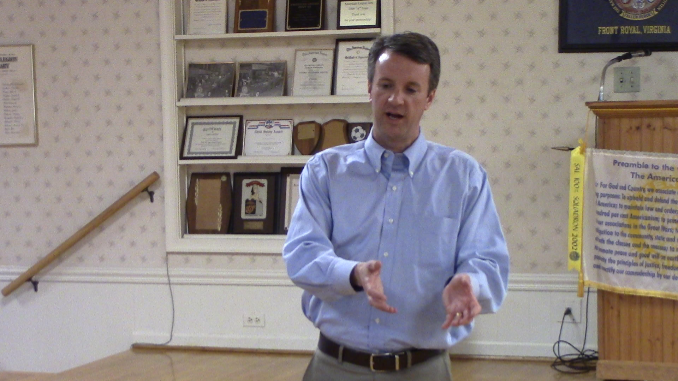 Congressman Ben Cline at a Town Hall Meeting in Lynchburg, VA. This week marks six weeks since taking office as representative of Virginia’s Sixth Congressional District. In those six weeks, I have heard from thousands of Sixth District residents and have taken your views to Washington. More than 8,300 residents have contacted my office about legislation and concerns during the last six weeks, an impressive number which informs my work. Hearing from you about legislative concerns is not the only work my office does on your behalf. Throughout the Sixth Congressional District, I have offices available to assist with federal agencies. Residents in need of assistance with an agency like the Social Security Administration, the VA, or other parts of our government may reach out to offices in Harrisonburg, Lynchburg, Roanoke, and Staunton for assistance. Since January 3, more than 180 requests for constituent casework have come in. This week marks the first District Work Period of the 116th Congress. These periods give Members of Congress the opportunity to meet directly with residents and take those concerns back to Washington. That is exactly what I did this week. I visited two healthcare providers during the district work period – Lynchburg General Hospital and the VA Medical Center in Salem. Centra’s Lynchburg General is a facility which serves an growing geographic footprint. Centra is both a driver of the local economy with more than 8,500 employees as well as the primary provider of healthcare for much of the Lynchburg region. One area where Centra has placed an emphasis is providing healthcare and support to the less fortunate in the community. It recently opened the Fifth Street Health Center in downtown Lynchburg, a facility which is providing health services to those in need. The clinic provides a variety of services beyond healthcare to address the needs of its patients, including laundry services and much more. It was refreshing to hear about this new facility and Centra’s mission to serve all patients in our region regardless of their ability to pay. Though just outside the Sixth District, I was able to visit with providers and patients at the VA Medical Center in Salem which provides care for Sixth District veterans. There, I got a firsthand view of the care provided to our region’s retired servicemen and women. Those who served our country put service above self and made incredible sacrifices in the name of freedom. I want to make sure they are provided the care they deserve and have earned. 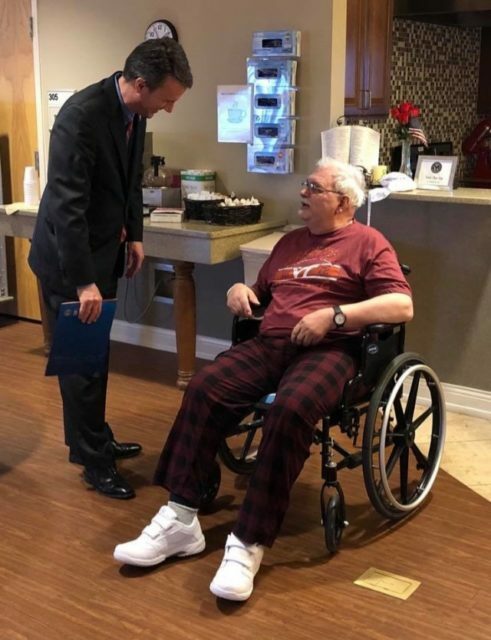 Congressman Ben Cline visits VA Medical Center in Salem which provides care for Sixth District veterans. 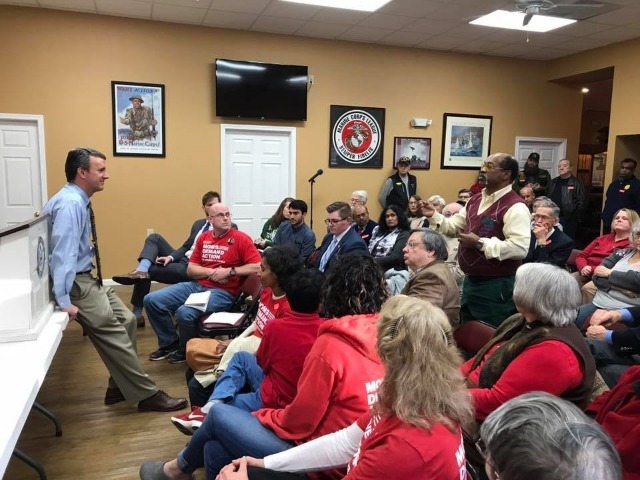 While in Lynchburg, I also held a town hall where I had a chance to meet with the city’s citizens. About 60 people turned out for this week’s event and I appreciate everyone’s participation. Events like this allow me to hear your concerns and take those back to Washington. More town hall events will take place in the coming weeks and months. 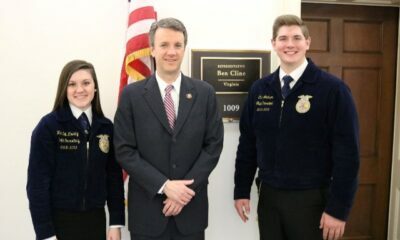 They will be announced at facebook.com/RepBenCline and at cline.house.gov. If you are a high school student or know one who is interested in attending one of our nation’s service academies, consider attending the upcoming Service Academy Day in Lynchburg. Representatives from the U.S. Military Academy at West Point, the U.S. Naval Academy, the U.S. Coast Guard Academy, the U.S. Merchant Marine Academy, and the U.S. Air Force Academy will be on hand to give you information on applying and answer questions about the process. An education at a service academy prepares students for service as military officers at no cost to the student. 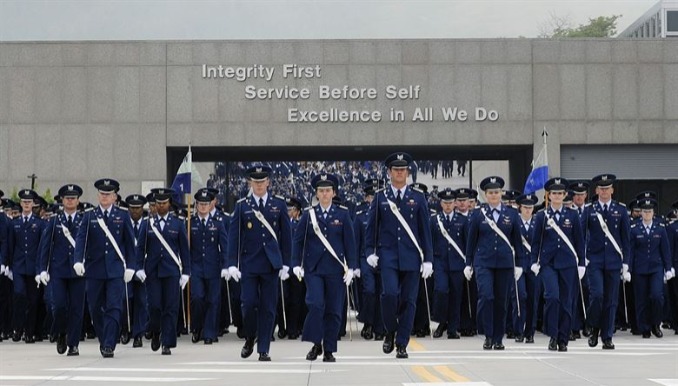 In fact, a service academy education is valued at more than $400,000 over four years! The Service Academy Day will take place March 2 from 10 a.m. to 1 p.m. at Heritage High School in Lynchburg. I hope you are able to attend. For more information, contact my Lynchburg office at (434) 845-8306. Thank you for the privilege to serve as your representative in Congress. This week was the first of our two-week district work period. Personally, I think it’s ridiculous for Speaker Pelosi to recess the House for two weeks when her party can’t even pass a Budget plan as required by the Constitution. Nevertheless, I am glad to be home for Easter with my family and back in the Shenandoah Valley to catch up on the latest news. Additionally, in between all the meetings, events, and briefings, I was able to take a brief two-day trip to the Gulf Coast to see how we can use some of the exploration industry’s best practices to help lower energy costs for Virginia families. As my colleagues and I stood atop an oil rig 100 miles off the coast of Louisiana, I was impressed with the efforts in place to ensure oil is extracted safely with a focus on the protection of fragile sea life and ecosystems. Witnessing the hard work that goes into protecting our environment while at the same time extracting oil leads me to believe the same could be done off the coast of the Commonwealth. The hundreds of thousands of good paying jobs in the oil industry could further improve Virginia’s economy and open new opportunities for our citizens. All of this is possible while also protecting the ecosystems off our coast. It would truly be a win-win. I went on this fact-finding mission to see firsthand the work being done off the Gulf Coast and push for the same off the coast of the Commonwealth. Any energy policy must be an all-in approach. As we saw this week, America can pursue energy independence while ensuring that important protections for the environment are in place. On Thursday, Attorney General William Barr made public the redacted Mueller Report. I voted last month to make the entire Mueller Report public, and I look forward to the Department of Justice making the full un-redacted Report available to all members of the House Judiciary Committee in accordance with Federal laws. In the meantime, I am taking the Easter weekend to read the redacted version of the Report. While the talking heads in the media continue to chatter about what they think the Report means or doesn’t mean, I am more interested in the facts. As a former prosecutor, I refuse to rely on opinion, supposition, or jumping to conclusions. Of course, I would prefer that the House move on to pressing issues like addressing the failure of Obamacare to lower health insurance premiums, the failure of our highway and infrastructure system to keep up with the booming US economy, and the failure of our Congressional leaders to stop the wave of illegal immigration that is flowing across our borders. But it appears that the Chairman of the House Judiciary Committee, on which I serve, now wants to investigate the two-year long Mueller investigation. Chairman Nadler has subpoenaed all evidence collected over the course of the Mueller investigation. I am confident that Mueller did a thorough job of investigating the attempt by Russia to interfere with our elections. However, if the Chairman deems it necessary, I welcome the testimony of both Attorney General Barr and Special Counsel Mueller before the Judiciary Committee in the coming weeks. As I consider the Mueller investigation, the Report, and its findings, I pledge to uphold the oath I gave on Day One of this job to support and defend the Constitution of the United States of America. Thank you for the opportunity to serve as your congressman. Last November, I was honored to be sent to Congress by the voters of Virginia’s Sixth District. A majority of voters supported my plans to stand up for our common-sense conservative values and cut through the bureaucratic red tape that paralyzes our Federal government. During my first 100 days in office, I have found a House of Representatives in worse shape than even the most skeptical critic would expect. It is rudderless, inefficient, and gridlocked in partisan trench warfare. Despite the problems, however, I have also found reason for optimism as I find others who want to work on bipartisan solutions that can make a difference for folks here in Virginia and across our Nation. In Congress, the debates over issues like ending illegal immigration often degenerate into the gridlock for which Washington is known. But one ray of hope during my first 100 days in office was when dozens of Democrats joined with Republicans and voted in favor of language similar to a bill I introduced, the Notify ICE Act. My bill would require Immigration and Customs Enforcement (ICE) be notified if an illegal immigrant failed a firearms background check due to his or her immigration status. It was added to another bill through a legislative procedure called the motion to recommit. It took a lot of work and my colleagues and I suffered several setbacks throughout the process, but the floor vote was a rare show of bipartisanship when the motion passed the House with 29 Democrats joining Republicans to support this bill. 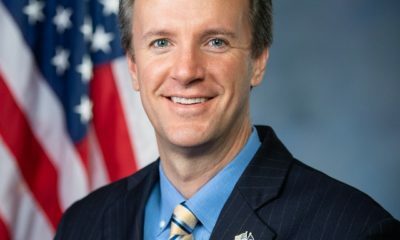 A piece of legislation important to the Sixth Congressional District was also recently signed into law by President Donald Trump. My bill designating the National George C. Marshall Library and Museum at Virginia Military Institute puts Lexington on the map for World War II scholars and lovers of history, honoring the life of one of VMI’s most celebrated and accomplished graduates. 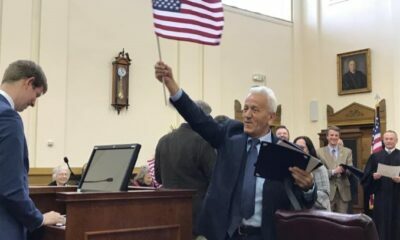 This legislation brings a renewed focus on the life of the man who is credited with the plan to rebuild Europe after the war, and it will help attract needed tourist dollars to the region and enhance the regional economy. Since becoming the 35th congressman from the Sixth Congressional District on January 3, I have not only introduced the aforementioned two bills, but I have also co-sponsored 15 more which will benefit all Virginians. One of these bills, the Death Tax Repeal Act, is a bill which would benefit farmers and ranchers across the Sixth Congressional District. The men and women who raise our cattle, plant our crops, and feed America know how harmful the death tax has been to families in the agriculture industry. A repeal of this tax allows our working farm families to maintain their small businesses across generations. Constituent services are another important part of representing the Sixth District, and nearly 450 constituent requests for assistance with a Federal agency have arrived at my office in the first 100 days of this congressional term. By far, the largest number involved the Veterans Administration, Social Security, and Medicare. 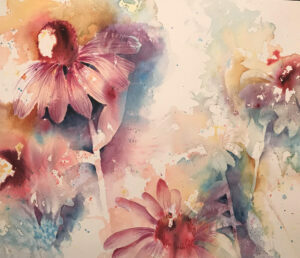 I am pleased to report that almost 50 percent of these have already been completed. In addition, nearly 10,000 constituents have received responses to letters they have written to my office. Communication with constituents helps to inform my votes in Congress and the legislation I introduce. 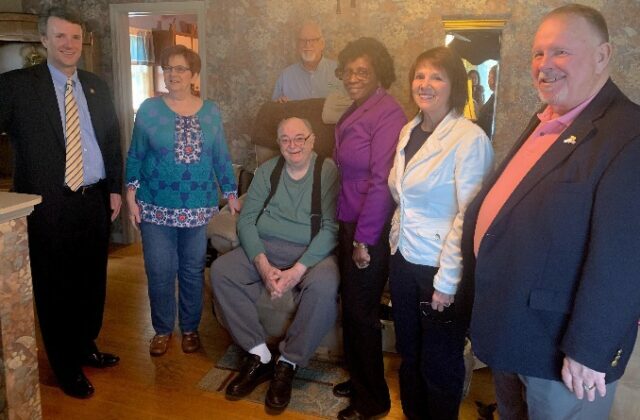 In addition to written correspondence, I have been visiting communities all across the Sixth Congressional District. Since the November election, I have held seven town halls and listening sessions, beginning in Roanoke City and continuing across the Sixth District, from Lynchburg up to Front Royal. My staff has also hosted 66 mobile office hours, and I have spoken to students at 11 schools and at different events in cities and towns across the Sixth Congressional District. I have been privileged to meet with thousands of constituents, introduce several bills, and cut through red tape in my first 100 days in office, but there is much more to do. In one of my first speeches after being sworn in, I reintroduced four words to Congress that Washington needs to hear again and again: we can’t afford it. I will continue to stand for fiscal responsibility and our Constitutional liberties as this session of Congress continues. I can’t do this without hearing from you. Visit cline.house.gov to make your voice heard or call me at (202) 225-5631. 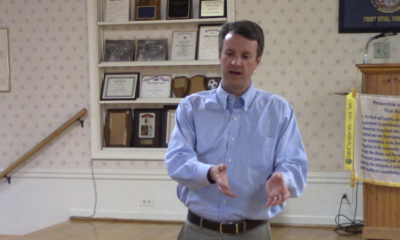 Ben Cline at recent Town Hall Meeting in Front Royal. Perhaps the most interesting conversations on policy and the role of government occur when I am afforded the opportunity to meet one on one with constituents from across the Sixth Congressional District, hearing their thoughts on legislation, how government overreach is impacting their families, or how I can help them navigate government red tape. This week started with a meeting at Luray High School, where I spoke with Mrs. Baldwin’s senior government class and fielded a wide range of questions on the Constitution, items in the news, and the work we are doing in Congress. Over the last three months, I have been privileged to answer questions from hundreds of students in all parts of the Sixth. While questions vary, there has been a consistent theme – hope for a brighter future. Students in the Sixth Congressional District are the same as Americans from all walks of life. They want the opportunity to graduate, possibly attend college or trade school, raise a family, and achieve the American dream. I tell each class with whom I meet that our job in Congress is to protect their liberties, remove the barriers that would hold them back, and allow them the opportunity to succeed. Just as America has flourished since World War II, growing the economy and making the American dream accessible to a growing number of our citizens, individuals in other parts of the world want the same opportunities, as well. In the years following the end of World War II, the North Atlantic Treaty Organization, better known as NATO, was formed as a military alliance among member states. 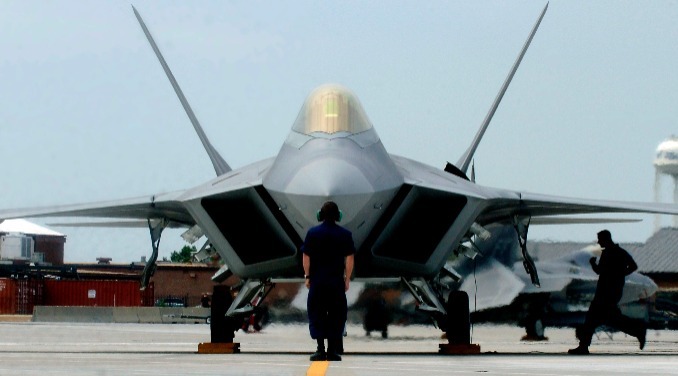 Citizens of NATO member states strive for the same economic freedom we enjoy in America. That is why NATO is so important, standing as a defense against hostile adversaries. It was encouraging to hear from the NATO Secretary General and see President Trump’s pressure result in more countries meeting their goals. I voted to protect the President’s ability to pressure NATO members earlier this year, because NATO must remain a strong alliance for the security of the United States and its allies. In times of war, our NATO partners have played important roles in our victories. We must continue to hold our allies to their obligations in order for NATO to continue to be an effective tool for peace in our world. In addition to hearing from the NATO chief, we took action on other items in Congress. I joined many of my House colleagues Tuesday to sign a discharge petition aimed at demanding a vote on the Born Alive Abortion Survivors Protection Act. The bill extends legal protections to infants who survive an abortion procedure, including the right to receive medical care. We have seen a concerted effort this year to expand abortion up to and beyond the point of birth in the Commonwealth and other states. Twenty-five times this year, Republicans have asked for a vote on the Born Alive Abortion Survivors Protection Act. House Speaker Nancy Pelosi has denied each of our requests. That is why I joined Whip Scalise, Republican Leader Kevin McCarthy, and many of my colleagues Tuesday to call on a vote through the discharge petition and declare that we are a nation that stands against infanticide. Representing the Sixth Congressional District is a responsibility I take very seriously. Thank you for the opportunity to stand for the rule of law, fight partisan overreach, and stand for life as your representative in Congress. The Mueller Report was filed on Friday, March 22, and Attorney General William Barr summarized findings in a letter to Congress on Sunday, March 24. In the Attorney General’s letter, Congress and the American people were informed of the findings of Special Counsel Robert Mueller’s two-year, $25 million investigation. The conclusion? The Special Counsel did not find that the Trump Campaign conspired or coordinated with the Russian government in their efforts to interfere with the 2016 US Presidential Campaign. As Americans, we should all be relieved that the investigation into potential collusion with a foreign government found no collusion, but many on the left are not satisfied. Democratic House Judiciary Committee Chairman Jerry Nadler and his colleagues have started a congressional investigation with 81 people receiving subpoenas so far and no telling how many more tax dollars going to waste on an investigation which is already complete. As I told WSHV-TV 3 on Wednesday, it is time to move on and get to work for the American people. We have real issues facing our country, from renewal of the higher education bill to addressing America’s crumbling infrastructure. That is why I encourage my colleagues to refocus their efforts on policy and not politics. Addressing the concerns of the Sixth Congressional District is exactly what I did on Wednesday as I joined Republican Whip Steve Scalise and my colleagues on the House Energy Action Team to hold a press conference demanding a vote on the ridiculous Green New Deal in the House of Representatives. The Green New Deal is a terrible idea. It is an attack on agriculture and our way of life in Virginia and the entire country. In the Commonwealth alone, agriculture and forestry have an economic impact of $91 billion and support over 400,000 jobs. If the radical left’s attempt to reverse the Industrial Revolution becomes law, farmers and many others would lose their livelihoods while local economies would be wrecked. In the Sixth Congressional District and all over America, we know the Green New Deal will not work. That is why we are calling for a House vote to once and for all put this bad policy out to pasture. Before traveling to Washington on Monday, I visited Total Action Against Poverty (TAP) in Roanoke, a community action agency working to help community members improve their own lives. One service that TAP provides is the weatherization of homes. Last year, TAP weatherized 32 homes in the City of Roanoke. One of those homes belongs to the Vance Family, with whom I met during Monday’s visit. Because of TAP’s weatherization program, they save nearly $30 per month on utilities. Further, the Vance’s neighbors also shared how TAP located a small carbon monoxide leak in their home, likely averting a life-threatening disaster for the family. I thank the senior leadership of TAP for taking time to inform me on its work in southwest Virginia. 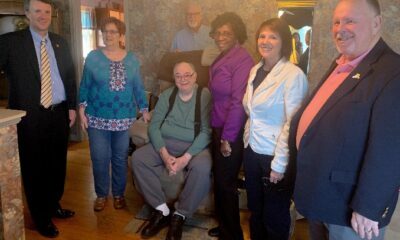 If you see me out in your community, please say hello and let me know if you need assistance with a federal agency or call my office at (540) 857-2672. Thank you for the opportunity to serve. 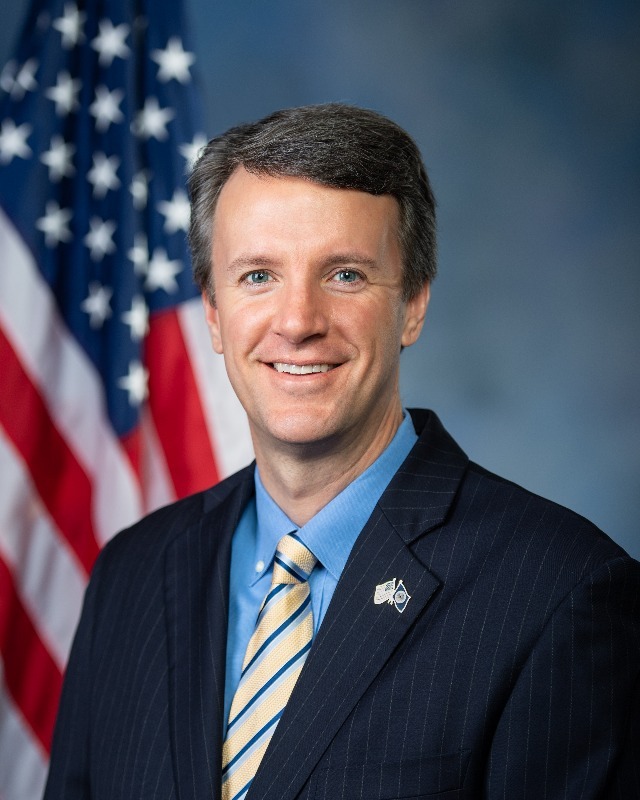 ROANOKE, Virginia – The office of Congressman Ben Cline (VA-06) will host Service Academy Day on Saturday, March 30, from 10 a.m. to 1 p.m. at Patrick Henry High School in Roanoke. 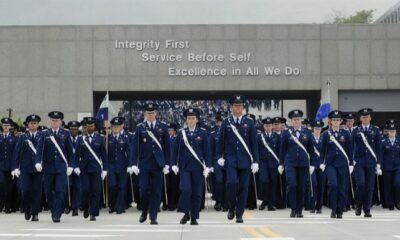 • The United States Air Force Academy at Colorado Springs, Colorado. An academy appointment has an estimated value of over $400,000 and admission is competitive. Each academy selects nominees based on moral character, scholastic achievement, physical fitness, leadership, and college admission test scores. 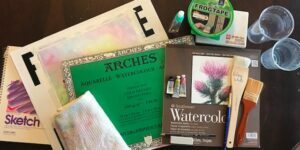 The earlier a student begins preparation, the more competitive that student will be in the process. 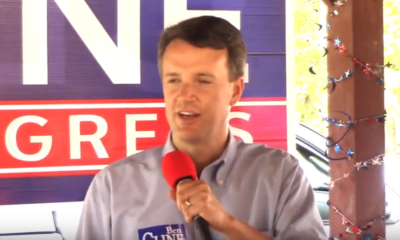 More information on Service Academy Day and the nomination process may be found by visiting https://cline.house.gov/services/military-academy-nominations or calling Congressman Cline’s office at (434) 845-8306.